One of my favourite pastimes is to dream, set goals and work out how to make them a reality. Of course, this is usually about how I can better myself, how can I push the blog forward and improve my skill set. But there are occasions where I allow myself to wonder and dream of what life would be like if I got one incredible win on the lottery. There are times when I moan about the cost of childcare, and almost every time, on cue my mum will say "It's ok, I'm going to win the lottery this week and you won't have to worry". Oh to live a life without financial worry. Of course, I also dream about the type of house I would have. I regularly have a look on Rightmove (ok every day....) and will look at houses for our next move, the realistic ones and then will look at the "if I won the lottery" ones. So, what would that kind of house look like, where would it be? St.Ives, without a doubt. Cornwall has always been a place close to my heart. So many childhood memories of summers spent on Polzeath beach. 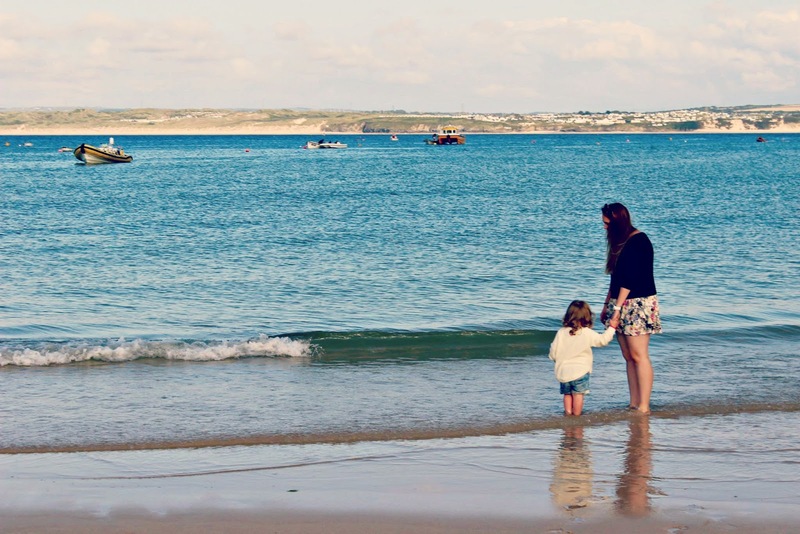 More recently we spent our honeymoon in St. Ives and this is a place I have truly grown to love. The way of life, the scenery, what a wonderful place to raise children? Well, a minimum of five I'd say. Enough for a bedroom for each of the children and for visitors when they'd come to visit. I could picture our summers with a house full of people, entertaining and spending time with family and friends. Because, at the moment, life is so hectic. Everyone is so busy, trying to find time when we're all off and not working always proves to be a mission. We would definitely have a playroom. A place where the toys can be stored and I don't have to look at them all day (the toys, not the kids!). Of course, there would be a room devoted to blogging and YouTube. A room flooded with natural light so taking photos is never a problem again. I guess that answer's another question, would I still work? Yes, I would blog full time. Because to me, that's a love, a dream job. I think I would continue to have to do something for me. To challenge me. Yes, so the hubby could fill it with his dream motorbikes. The poor bloke sold his when I fell pregnant with Henry. I haven't stopped hearing about it since!! Of course, the perfect way to start your day, a swim in your own pool. I could go on and on. There are plenty of finer details I have thought about, even down to how I would decorate rooms. Like I say, I'm a complete dreamer! Despite my dreaming ways, my main priority would be to make sure that my family is well looked after, so they would have no financial worries. So our parents could retire early and do all the things that they have been waiting to do. So we could visit our family in the states regularly. Life just would hopefully feel a little more financially secure. Lottoland kindly gave me £25 credit to play on their site, it's the only place where you can play the lottery in every country! So, as a bit of fun, I have purchased an American lottery ticket known as the Powerball (the infamous £1 billion lottery win, could you imagine?!?!) and will be playing a few online games. You never know, It may be my lucky day. *Post in partnership with Lottoland.